Ch5. A Channel Strip modeled after one of the most classic consoles around. 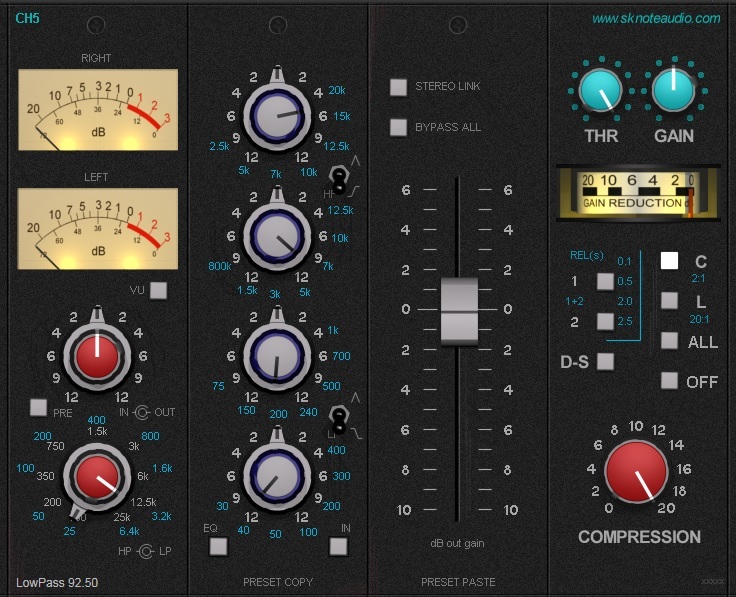 Available as VST, AU, AAX native and DSP for 32 and 64 bit, Windows and Mac systems. Available as VST, AU, AAX-native, AAX-DSP for 32 and 64 bit systems, on OSx and Windows platforms. Last updates: Oct 07 2017: Mac VST/AU updated (bugfix) – Sep 20 2017: AAX updated (bugfix).